Scooter Hut Parramatta is located in Greater Western Sydney, on the corner of Macquarie St and Charles St, and is just a 5 minute walk from Westfield Parramatta. 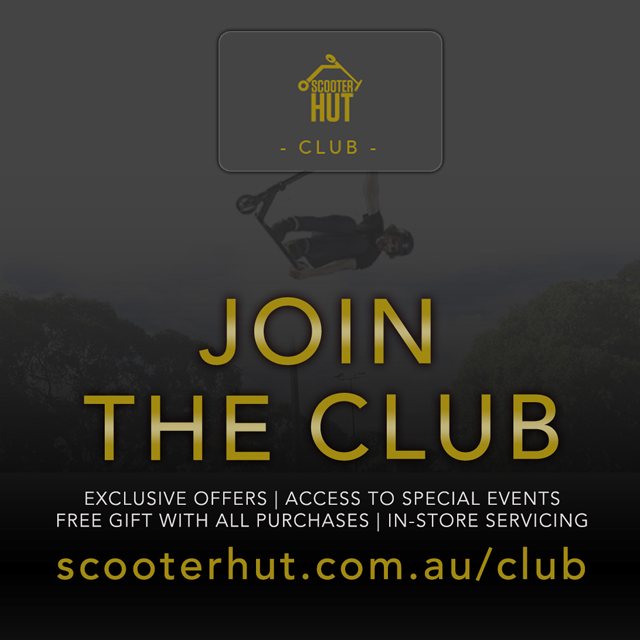 Here you will find the widest variety of freestyle scooter products in NSW with heaps of brands to choose from, a huge range of custom scooters, and outstanding customer service from our experienced and helpful staff. Plenty of metered parking surrounds the shop and it is just a short walk from Parramatta Station and Bus Terminal making it easily accessible from across Sydney. While you are here, why not go for a ride at Parramatta skate park to try out your new parts…it’s only 100 metres from the shop, and there’s usually some pro riders around to give you guidance on learning tricks. Scooter Hut Parramatta is the store that all Sydney scooter riders (young and old) are flocking to. Managed and staffed by pro riders, the shop has a really great vibe to it and you can be sure that advice to every customer is eagerly dished out by staff who love the sport just as much as you do.